Visited by thousands of tourists each year, Naxos is renowned for its fertile green landscape and the golden beaches. As Naxos is located in the centre of the Cyclades, it is a good starting point to explore other islands in the region. An excellent idea is to have your holiday base in Naxos, which is easily accessible from Athens ports with frequent schedules, and from there to take boat trips to close islands. Here are our suggestions for best day trips from Naxos. Paros is the most famous day trip from Naxos, as the distance between the two islands is really short and the journey takes only 30-60 minutes. Boat trips to Paros depart from Naxos Town. 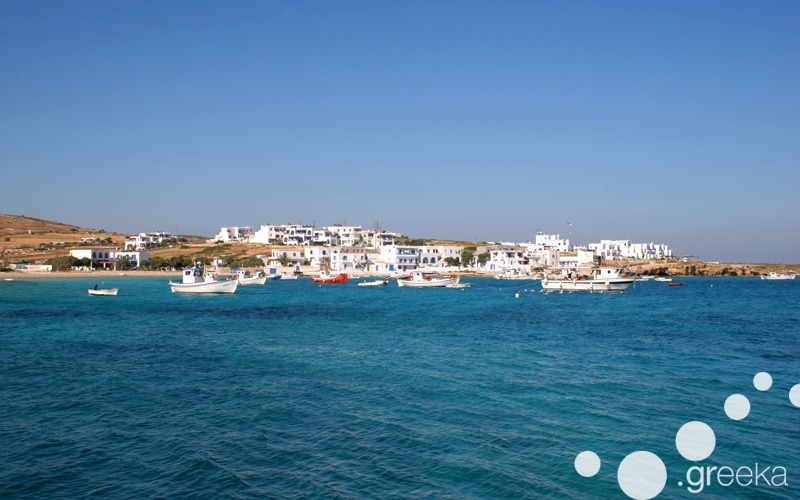 In Paros, you can explore exotic beaches and amazing traditional villages. Check out the cosmopolitan seaside villages of Parikia and Naoussa or the mountain villages for peace and serenity. From Parikia port, there are buses to the most popular places around the island. Naoussa is a place of Medieval beauty and has a lot of great swimming options. The perfect spots for a swim are Kolymbithres beach and Santa Maria beach. For wind and kite surfing enthusiasts, the island of Paros has also many beaches with water sports facilities, especially on the south eastern coast. One of the best day trips from Naxos is to the most impressive Greek island, Santorini. The beauty of Santorini is almost magical, with wild landscape and spectacular sunset views. Day trips from Naxos to Santorini include a guided tour by bus to the wonderful caldera villages with the little white houses and amazing sea views. The most popular villages in Santorini are Oia and Fira. Oia is an ideal spot to enjoy the romantic sunset and walk through quaint alleys. 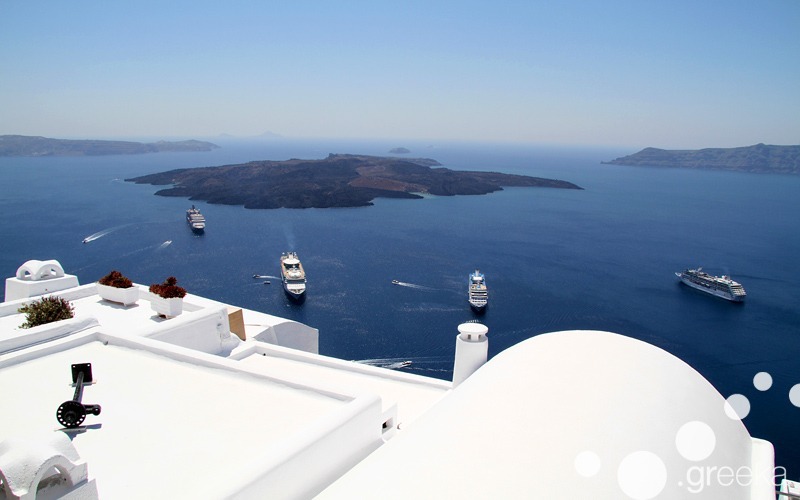 Fira is a sophisticated settlement, with stunning views to the water filled caldera and the deep blue of the Aegean Sea. In the south eastern side of Cyclades lies the fascinating island of Amorgos, distinguished for its genuine way of life and the wild beauty of its scenery. There are boat tours from Naxos to Amorgos that gives the chance to explore the entire island. The boat arrives at the port of Katapola, from where you can take the bus to Chora, the capital of the island, with the charming architecture. 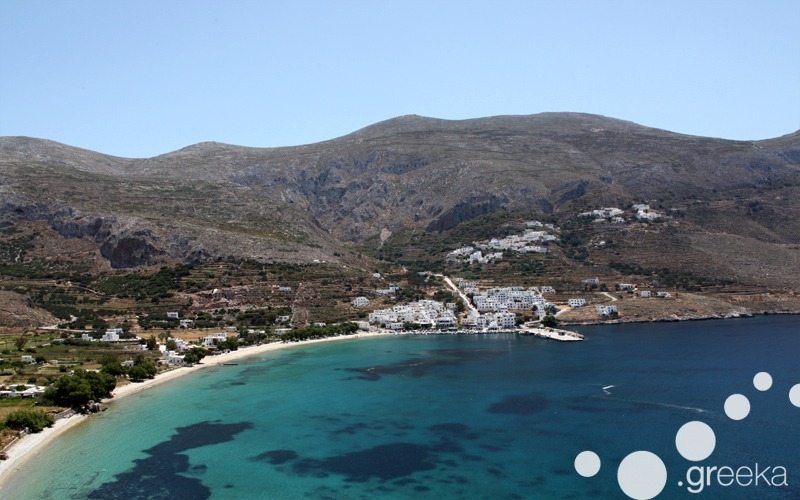 From there, you continue by bus or taxi to the Monastery of Hozoviotissa, the most impressive sight in Amorgos. Before returning to Katapola, finish your visit to Amorgos with a swim in the fantastic beach of Agia Anna, just a short hike from the Monastery. There is another boat trip from Naxos that reaches the small island of Koufonisia, found between Naxos and Amorgos. A day trip from Naxos to Koufonisia is a great choice, as the island is small in size and exquisitely beautiful. Walk or rent a bike to explore the exotic, often secluded, beaches and lay on the golden sand enjoying the sunshine and a good book. Some Koufonisia beaches, like Pori and Fanos, are top choices for naturists. In the afternoon, stroll around the main village, Chora, to see the little houses with flowered gardens and have lunch in one of the many fish taverns. 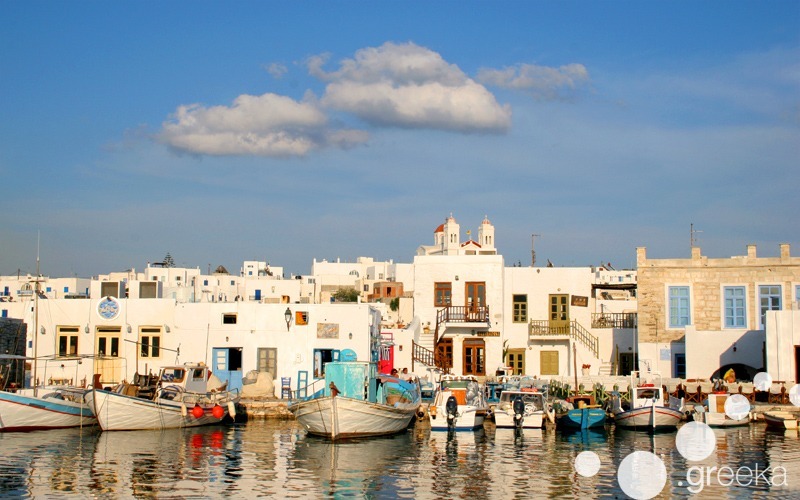 Are you looking for more Naxos tours? Have a look at our tours!